Disability Network for the Cairns region - support, work, education & lifestyle focus for people with disabilities. 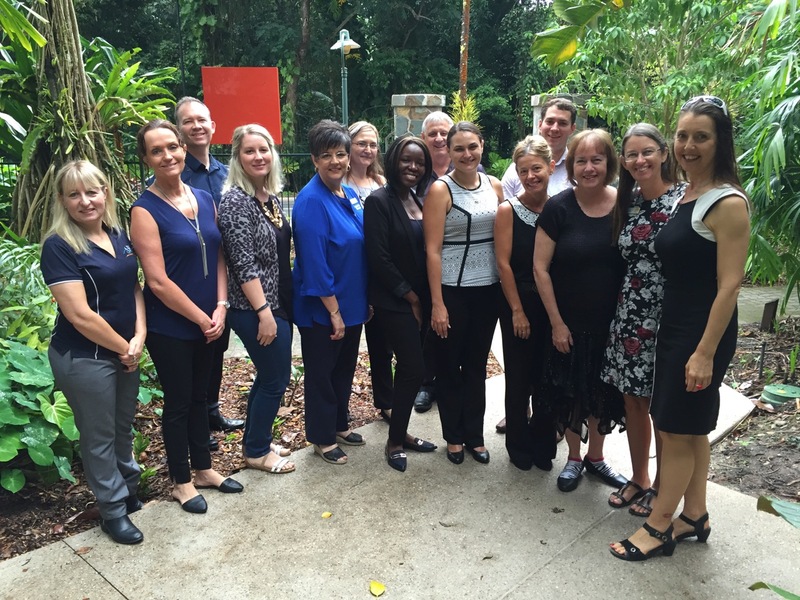 What is the Cairns Disability Network? The Cairns Disability Network (CDN) - formerly known as Cairns Transition Network is a group of Education, Training, Higher Education, Employment and Community service providers who link together to improve the transitions and outcomes for people with disability. CDN members meet each month to share news about upcoming events, resources, opportunities and information to benefit people with disability and those that support them to progress between education, training and employment, or to re-engage with training and employment from the community. The group is currently working on the 2019 Cairns Disability Expo. Cairns Disability Network and guests after a breakfast meeting in 2017. The Cairns Region hosts a wide range of Registered Training Organisations, including TAFE offering a diverse choice of courses and is serviced by 2 major Regional Universities. There are also providers of Certificate courses available. People in the Cairns Region have access to Disability Employment Service (DES) providers, JOBACTIVE Providers, private Employment Agencies and Australian Apprenticeship Services. Cairns has active NDIS providers, many listed here. Accessing support & lifestyle support, alongside assisting people with disability transition between Education, Training & Employment, there are a number of community organisations and specialist allied health providers. The Cairns Disability Network meets on the 3rd Thursday of each month, at RSL the Esplanade in Cairns. New members welcome and we would like to hear about your work in the transition to education & employment for people with disability in the Cairns region. Attendance is free and food and drink is available for purchase. 7am - 8.30am - RSL, 115 The Esplanade, Cairns.